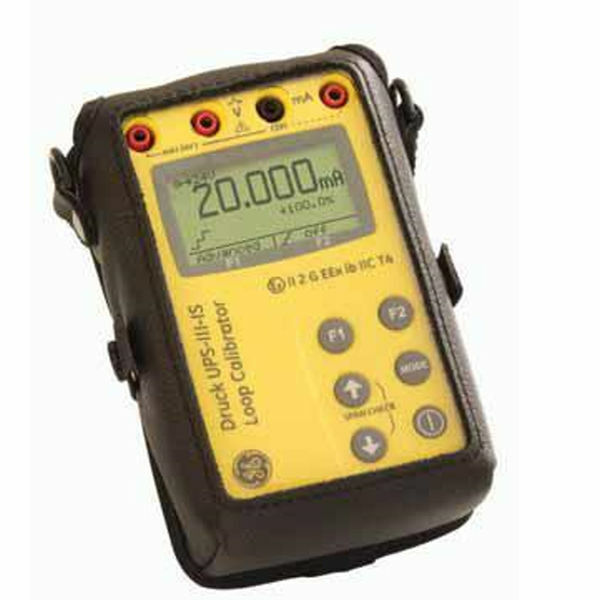 GE UPS-III-IS is an intrinsically safe loop calibrator. It is suitable for maintenance of instruments, loop testing, and set up of valve. The rugged calibrator has a compact size of 3.5 in x 5.5 in x 1.7 in (90 mm x 140 mm x 42 mm) and weight of only 16.2 oz (460 g). It has a high visibility display. Significant time savings are provided by the user-friendly features.